How and who will do the data analysis? What other data will you require? Will the survey be repeated? Web based, hand held/tablet etc. What additional data will be required? £275+20% VAT. Cost includes tea/coffee , comprehensive take away training pack and limited email follow-up support. 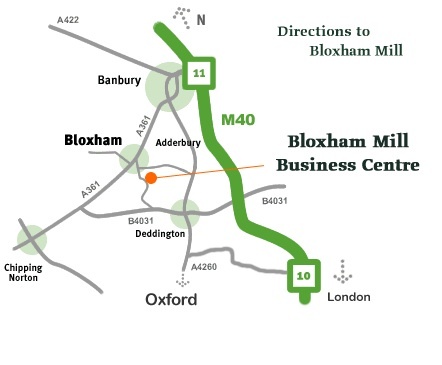 Bloxham Mill Business Centre is located 4 miles South of Banbury town centre in a pleasant, out-of-town location. It is 18 miles North of Oxford. A typical journey time from Oxford is less than 30 minutes. Junction 10 of the M40 motorway is 6 miles away providing rapid connection to a network of motorways including M42, M5 and M6. Banbury and Kings Sutton railway stations are within 4 miles with frequent services. Journeys to London take around 1 hour and 15 minutes. There is a choice of airports in the region: Birmingham, Luton or Heathrow.